All Aerial and Satellite products and installation is guaranteed, fully insured and competitively priced. Only C.A.I industry aerial/satellite equipment and materials are used on our installations. We are constantly investing in training to keep up with an ever changing digital workplace. 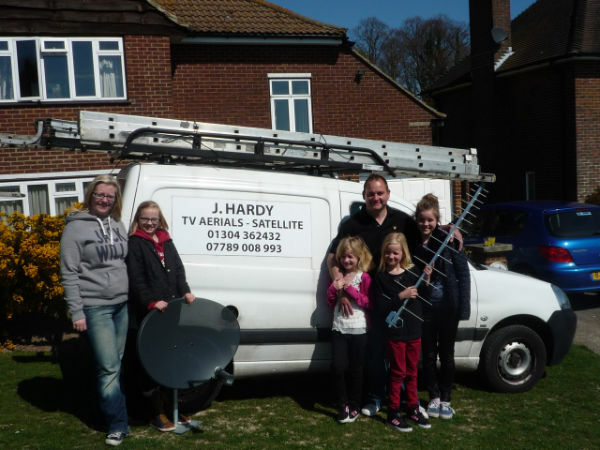 We are a small family run East Kent business and have been established since 1968, working mainly in Deal, Dover, Sandwich, Canterbury, Thanet and surrounding villages, building up an impressive and loyal customer base due to our prompt and efficient service at very reasonable rates. Most enquiries and estimates can be given over the phone and prices that are quoted on the phone are always the price paid upon completion of work with no hidden extras.